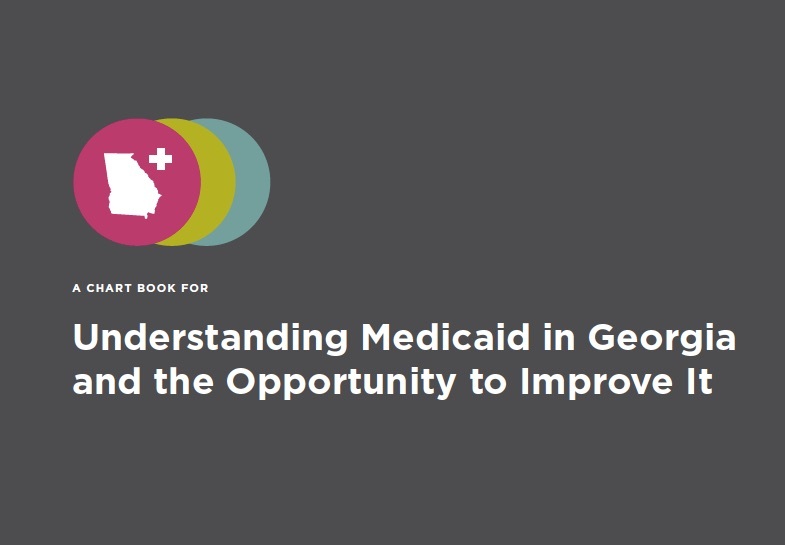 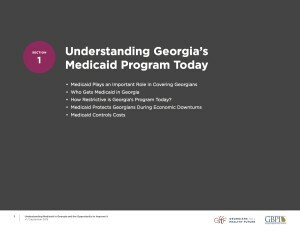 This publication contains infographics, data, and compelling charts that simplify the complex issue of Medicaid in Georgia. 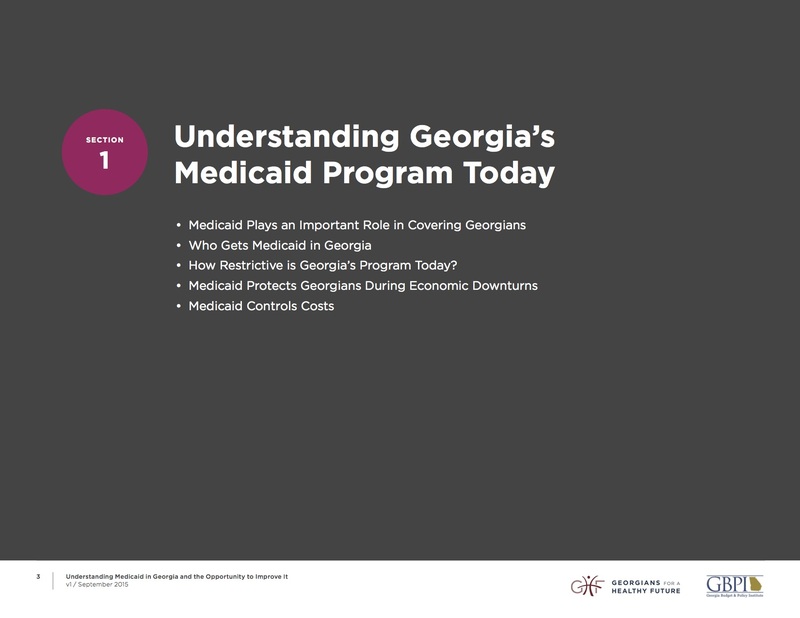 Part one explains who gets Medicaid in Georgia, how Medicaid protects Georgians during economic downturns, how Medicaid controls costs in the state, and more. 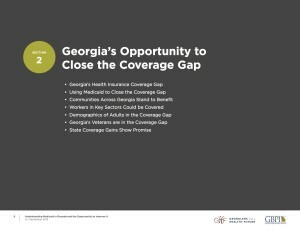 Part two outlines Georgia’s opportunity to close the coverage gap. 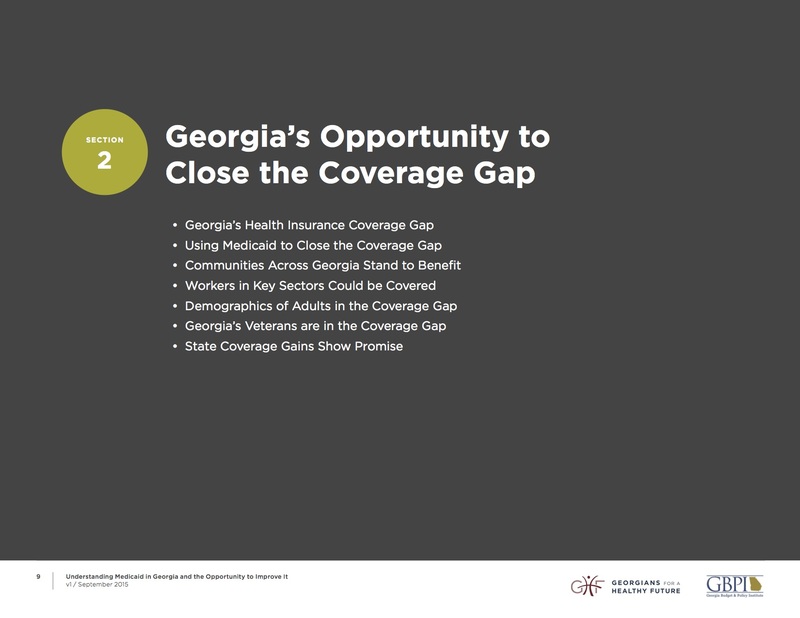 Here you’ll find out what Georgia’s health insurance coverage gap is, how we can use Medicaid to close it, and who stands to benefit detailed by job sector, demographics, and veteran status. 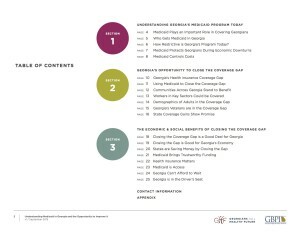 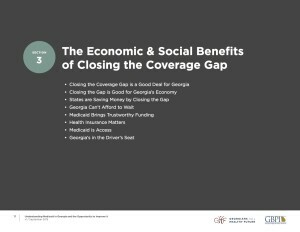 Part three details economic and social benefits of closing the coverage gap. 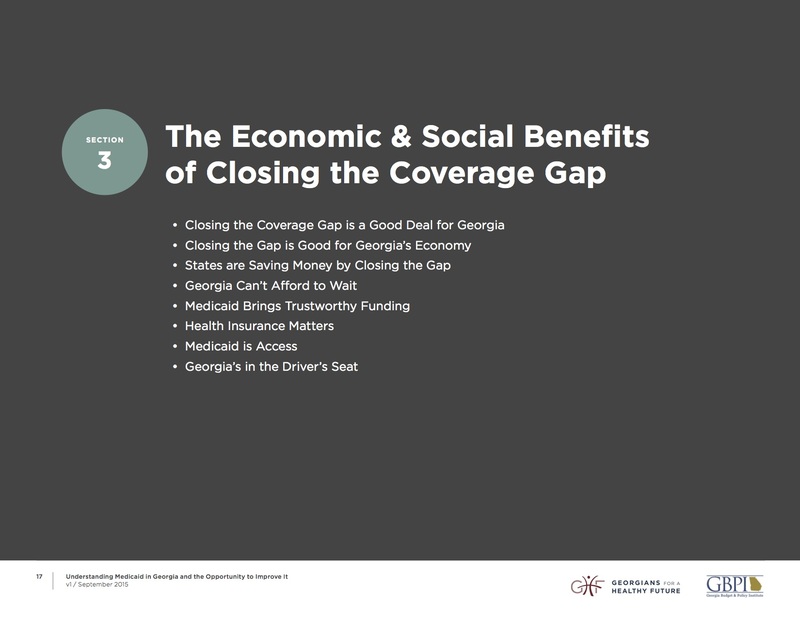 Why is closing the coverage gap a good deal for Georgia and the state’s economy? 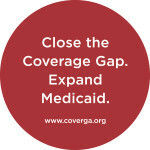 What are the savings other states realize by closing the gap? 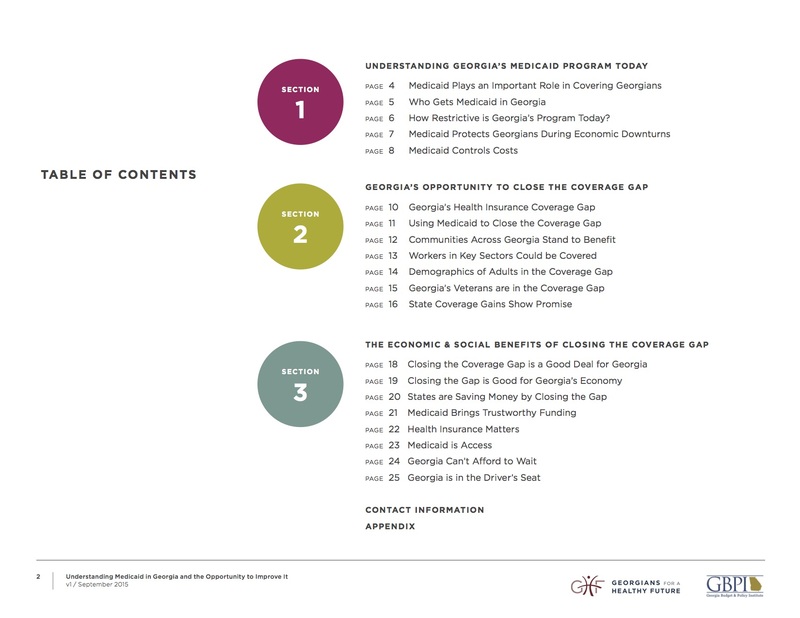 How does coverage affect a person’s financial and physical health?